Looking for an easy sweet treat to make for friends and loved ones this holiday season? 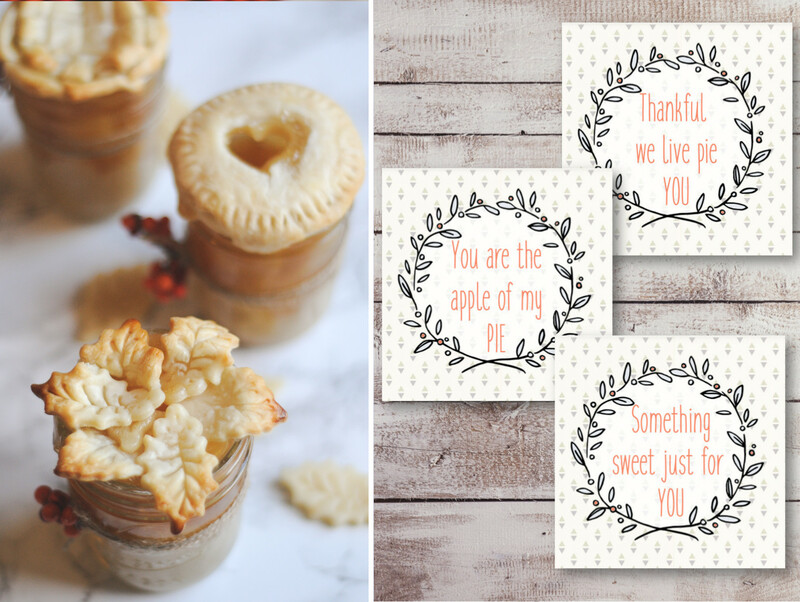 This 2 ingredient apple pie in a jar is the perfect homemade gift with free printable gift tags included. Having a neighbor or loved one come to your door with homemade treats is always a welcomed gift during the holidays. It’s something I have always wanted to do more of myself, but baking is not one of my strong skills. I can’t stand messing up a batch of cookies from scratch and having a whole bowl of unusable dough leftover. That’s why I love this recipe, it feels homemade and only requires two ingredients, crust and pie filling. This recipe is absolutely fool proof. 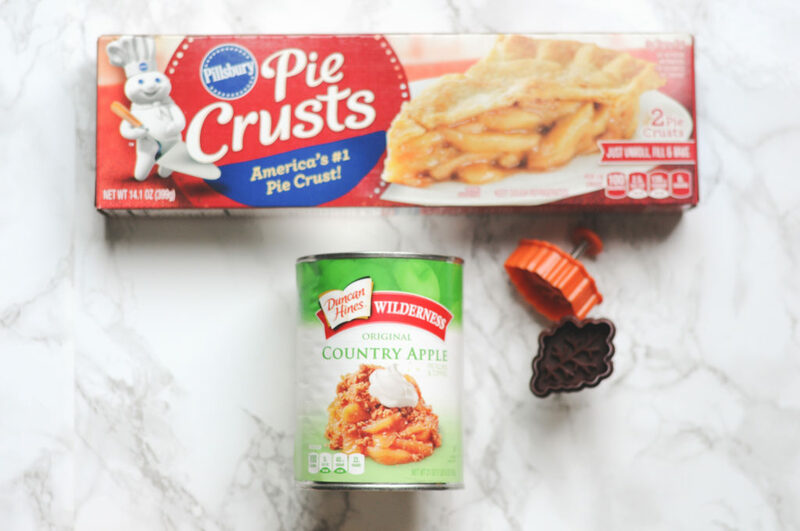 All you have to do is cut out your pie crust for the bottom, fill with whatever pie filling you love the most, and top it off with a little more pie crust! I wanted there to be a good pie to crust ratio so I only put enough pie crust on the bottom to cover a little more then 1/3 of the jar. I also like how this allows you to get a nice glimpse of the pie filling as well. 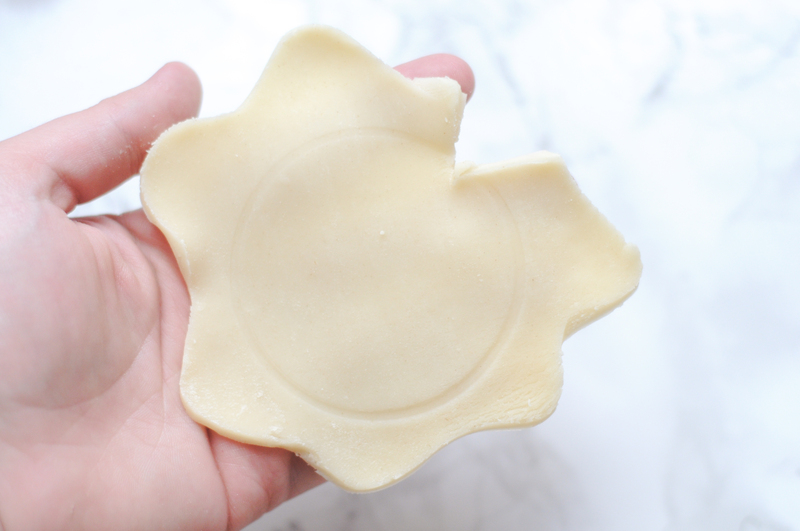 To create a pretty transition from crust to pie I cut the bottom crust in waves (pictured below) so that once placed in the jar it gives it a cute scalloped look. Another great part of this simple recipe is that it gives you the freedom to easily be creative. For the crust on top, there are a number of fun and customizable ways you could decorate your pie. I decided to go out and buy some fall leaf cookie cutters at Michaels (you can also find them on Amazon) which I quickly fell in love with. I also tried a lattice crust, (which wasn’t the easiest for me!) and a simple heart cut out. You could even make these for all sorts of holidays, such as Halloween and use pumpkin or bat cookie cutters. The ideas are endless! Even my two year old got excited and joined me in cutting out shapes for the pies! This is definitely a recipe you can involve every member of the family when creating. 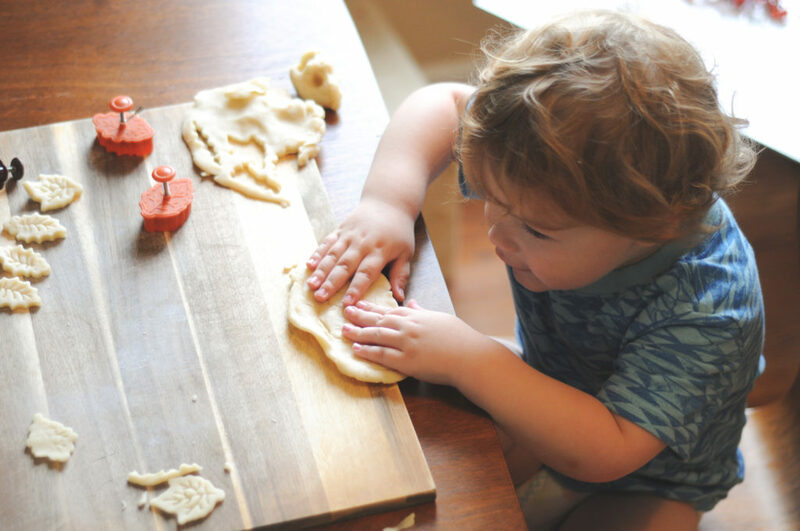 Give everyone a little piece of crust and see what creative ideas they come up with. Remove crust from packaging and lay flat on lightly floured surface. 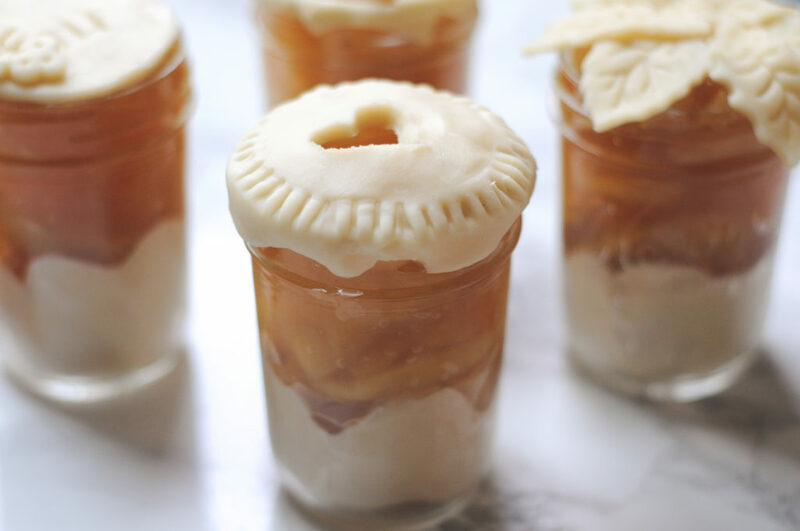 Fill each jar with pie filling. 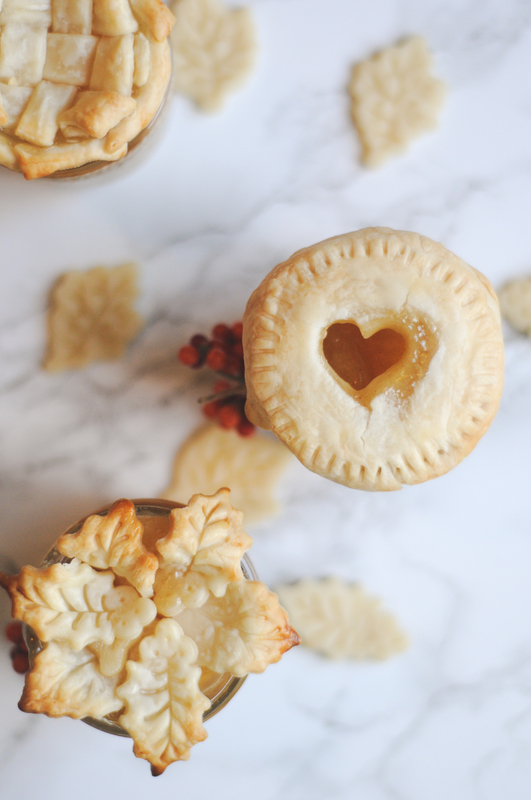 Make sure filling is flush with the top of the jar (over filling may cause your pie to overflow when baking). 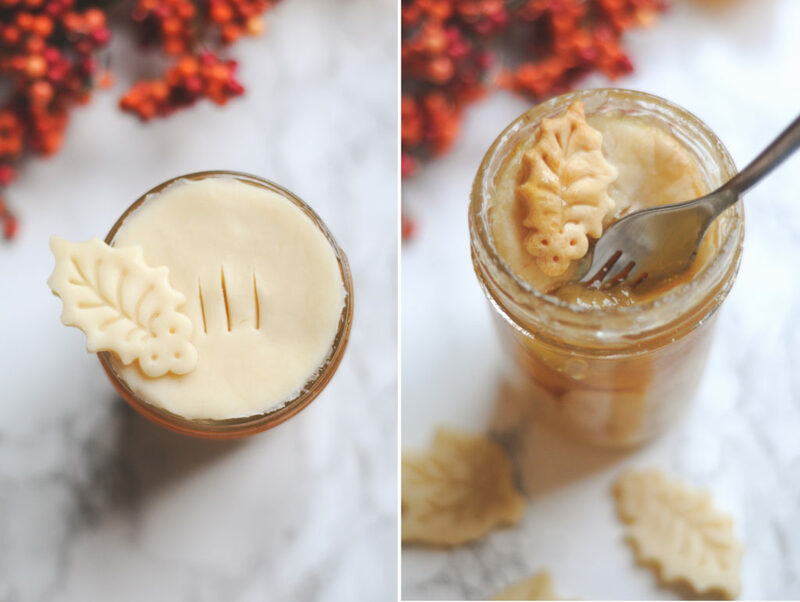 Using remaining pie curst, decoratively top each jar with crust. Make sure there are slits or gaps that allow heat to escape when baking. Place jars on cookie sheet and bake for 30 mins. Place tin foil over crust when crust starts to brown (about 20 to 25 mins). *Add egg or milk wash to crust before baking to get a golden brown crust. *I do not suggest using any jars larger then half pint sized. I think the small 4 oz sized jars could be great when making larger batches.